Given its strategic location at the intersection of Bowman Street and Melville Parade, Hillam Architects envisioned the building to be a gateway to South Perth, taking into consideration as well the pedestrian traffic that will be generated in the future from the anticipated location of the South Perth train station. 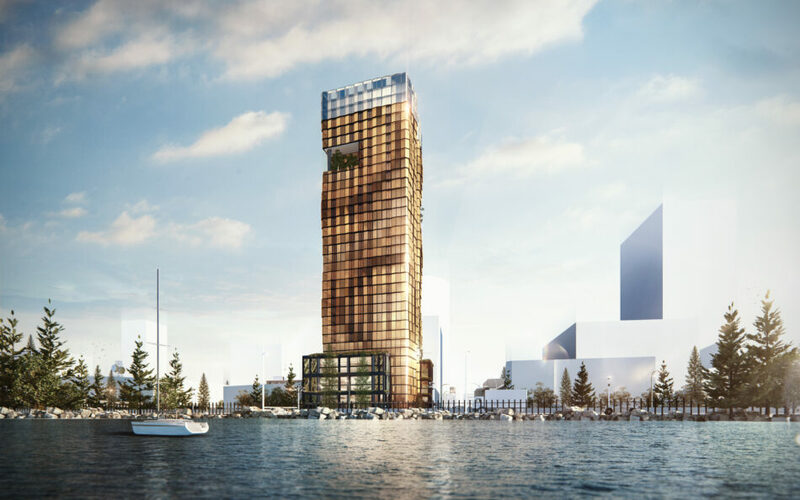 Breaking away from the typical singled mass tower design, the tower’s building mass is ‘split’ into 2 more slender towers creating a more elegant form with the Eastern tower rotated to lessen the impact on views from neighbouring sites. 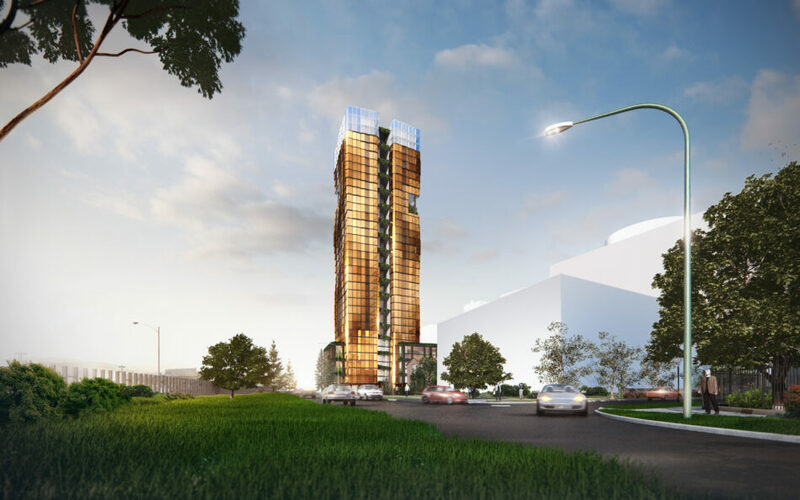 The podium design seeks to address the opportunity presented by the site, being at the corner of Bowman Street and Melville Parade. Part of the volume of the podium is ‘given back’ to the public and activating this key street corner. We also envision a sculptural canopy to be in place in collaboration with an artist, again ‘giving back’ to the public. The ‘Sky Gardens’ are introduced into the towers forming a point of reference for the composition of the façade movement and serves as communal spaces to the residents. 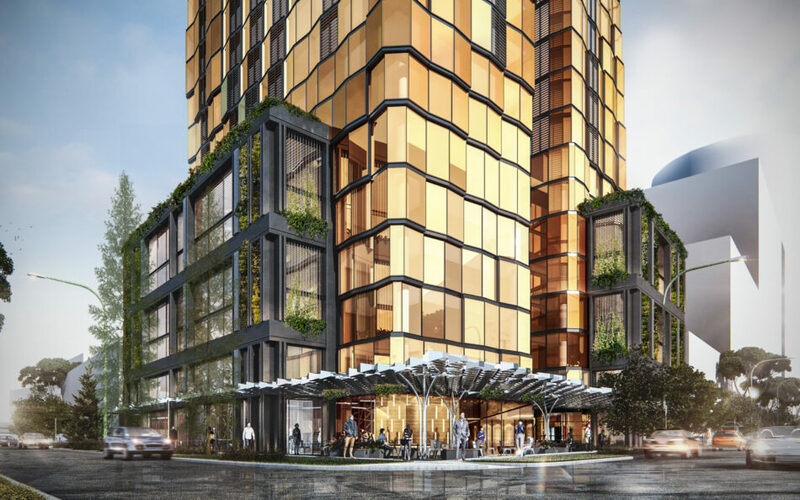 A dynamic, moving façade emanates from these Sky Gardens creating visual interest in an otherwise plain glass tower façade.